The bangle conjointly options sensible pearl stones that are brightly set to produce associate exquisite and attractive look to the bangle that is accessible solely in a very single commonplace size. 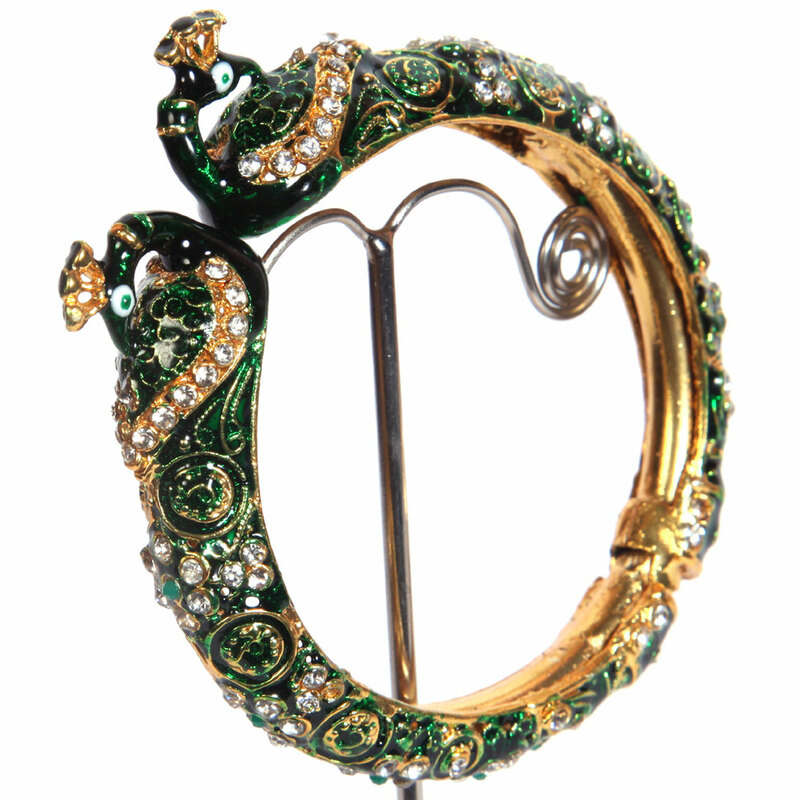 The dark green base of this designer peacock bangle has been interspersed with a light gold plated brass pattern. The bangle also features brilliant pearl Read More..stones that have been brilliantly set to provide an exquisite and mesmerizing look to the bangle which is available only in a single standard size. Show Less..